ZEF-method is a way to process survey results from absolute into standardized results. The combination of letters ZEF stands for z-scored Electronic Feedback. 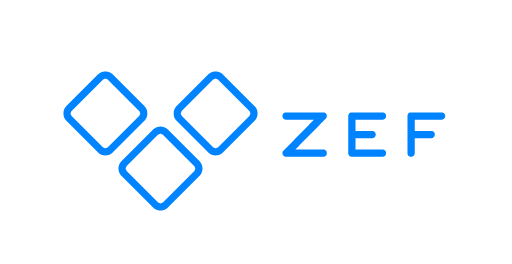 As the name indicates, the ZEF-method is based on z-scoring, which is used in processing the survey results. Z-scores are standardized deviations from their means and they always have a mean of 0 and a standard deviation of 1. The standardized, i.e. normalized values provide a way of comparing results without opinion distortion. Using z-scoring when analyzing the results can give you useful insights on how to act based on the answers, this is because the different answering styles of the respondents are into consideration. Z-scoring lets you see the relative positions of the average points rather than the absolute positions. What happens in the z-scoring process? The average points for the answers are calculated. The average is placed in the middle of the table, i.e. the distribution is centered so that the mean value is 0. The values are spread out over the table, i.e. the distribution is normalized. With 2D and slider questions, you can standardize the average points by clicking the Intelligent Zoom button. The picture below shows the absolute average points in a question group. The following picture shows what happens when the Intelligent Zoom mode is on. The numbered point indicates the average score and the light blue area around it indicates its deviation. The standardized report generates the results using z-scoring, where the average points of the results are generated to the middle of the table and the points are distributed evenly across the table. The standardized report, on the other hand, shows what are the strengths and what areas have room for improvement. For example, even if the absolute report showed you that your customers are very satisfied with all subject matters, the standardized report will still show a prioritization order for all questions, indicating which questions fall into your strengths and which areas leave room for improvement. It might not mean that your customers are dissatisfied with anything in reality, but naturally, they are more satisfied with some aspects and less satisfied with other aspects - for example, extremely satisfied with the customer support chat services and very satisfied with the e-mail support services. The standardized report exaggerates the differences between the results, thus the average points of the questions are exaggerated so that they are spread out evenly throughout the report. This exaggeration makes it easier to interpret the report, as it is clearer to see which section of the report each question falls under. HINT! Read more about the ZEF-method here.